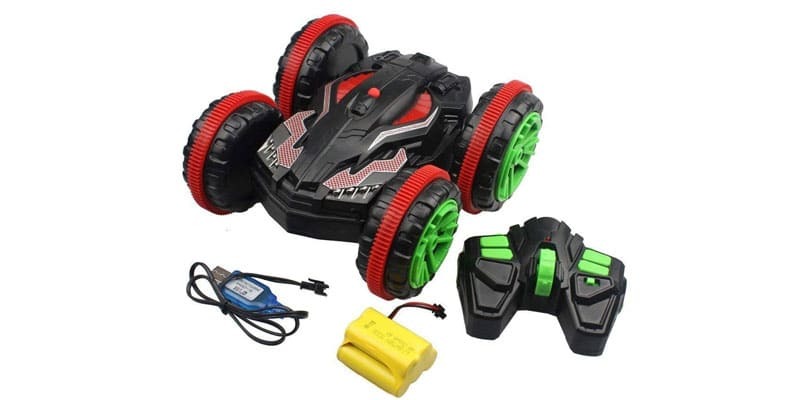 Kids of 5 up to 7 years old need interactive & speedy options when it comes to RC cars. It is difficult to pick for this age range because some kids will want more “big kid toys” while others will readily conform to shiny and bright options. Luckily for you, we know exactly how to prepare you for that and give you the option that will make it easier when choosing. 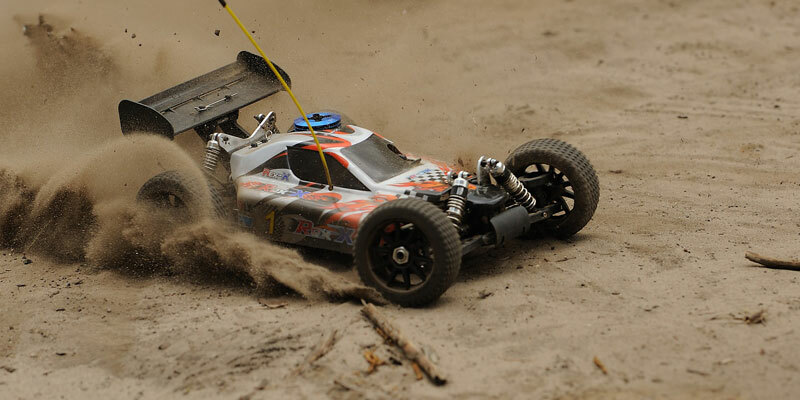 So come further, learn more about these RC cars, and pick the perfect one for your kid! There will be many different options in this list, so we recommend you to be aware of what each one offers completely. From visuals to performance and battery capacity, make sure you know what you’re getting before choosing. If you’re ready, then come and take a peek! The perfect option for those kids who like action and stunts. A Thunder Thumbler is a special kind of RC buggy that has five different wheels, two on each side and one in the back that helps to do different acrobatics and more. The buggy also goes well on almost any terrain and performs amazingly fast despite its unique design. And of course, it looks well with various lights coming off its design and the tires. When it comes to ease of use, you will find the Thunder Thumbler a total piece of cake. Whether it is a 5,6 or 7 year-old kid, it will feel so comfortable that they will master it in a matter of hours or even minutes. This is more of a Lego than it is an RC car. But surely, it works amazingly no matter how you look at it and provides a much more educational touch to your kid. 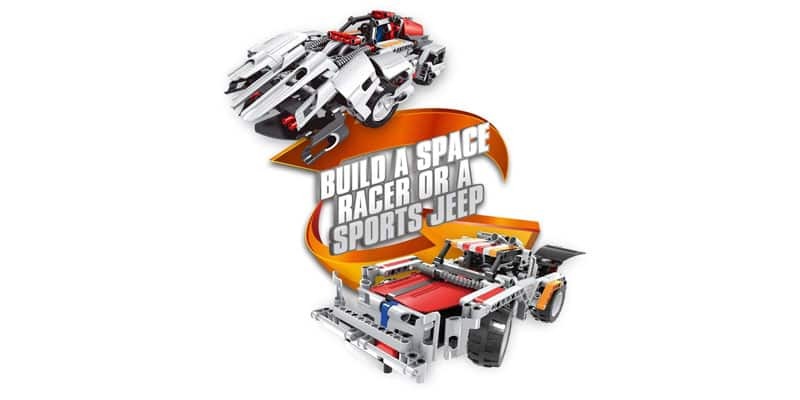 Yes, it comes with 326 pieces you can use to build the car you prefer. Whether it is a racing car or a Jeep, this set of puzzling pieces provides the perfect creative touch you need to help develop your kid’s mental capacities. The RC part is also great despite not being the best out there. You will be able to let your kid enjoy a very reliable & responding remote control with excellent battery capacity to use for hours. It is not the most resistant car out there, but surely one of the most entertaining, especially at the moment of building a desired car choice. As its name says, the Blexy is an amphibious racing car, which allows the car to go over water and keep moving without problems. Its four-wheel system is one of the most effective out there, allowing users to use the car in many ways while obtaining excellent speeds. For kids, the functions of this car will be merely top-notch. This helps them to explore their car more and have much more fun in the end. 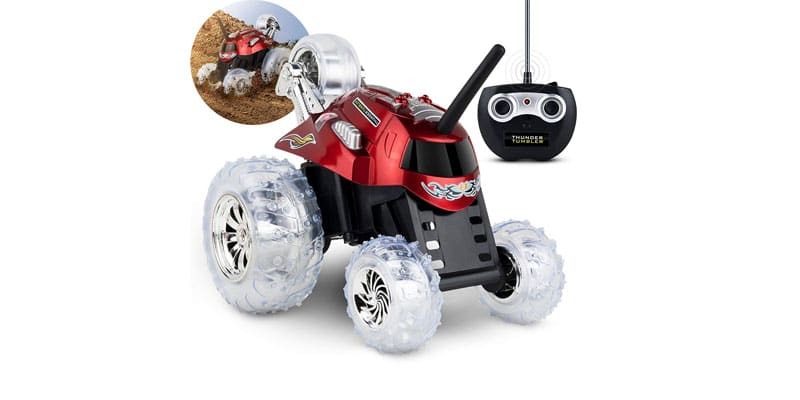 With its excellent remote control, on the other hand, you will be able to use up to 60m away from the car in dry areas, and up to 30m in water. When it comes to versatility, there’s no competitor for this car. And what’s even better, it is incredibly fast as well, paired with a resilient and robust build. 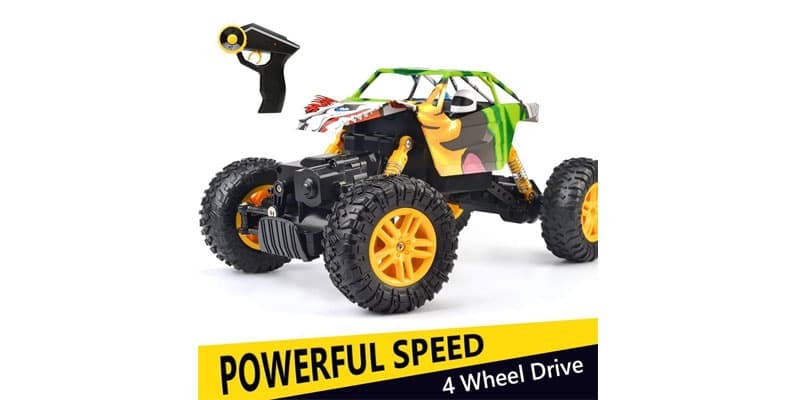 So your kid can enjoy one of the most versatile, powerful, fast, and reliable RC cars out there. 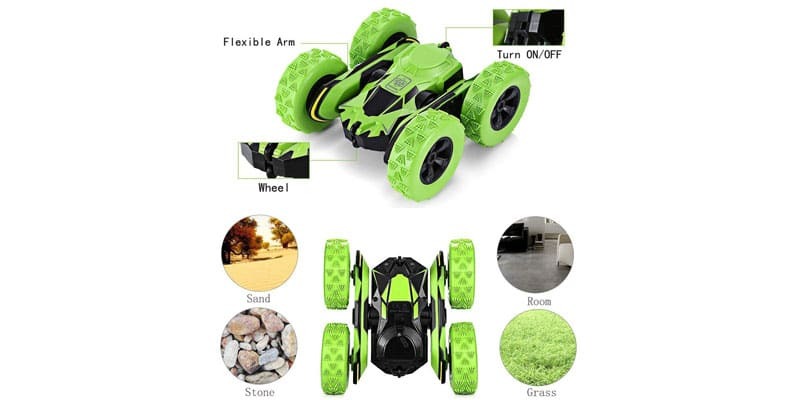 With one of the most enticing designs out there and very bright fluorescent green color, the Ansee Stunt car is easily a top-notch choice for kids who like extreme approaches. It is merely a car for those kids who want to enjoy a more reliable & off-road resistance without losing performance. Thanks to excellent radio control, the car can be used up to 60m away without problems. It achieves high speeds as well, and with its 360º degree feature, you can do fast Spins and Flips without losing control on the car. What sets this car apart from others is the ability to be used practically anywhere. Its shock-proof and off-road build alongside a sturdy light ABS plastic case make this car a fantastic option. And what’s even better, it lasts up to 25 minutes in non-stop driving – for longer play time. Even though the cars for this age range are similar to other age ranges, here you have to focus on three major points. Here we talk about these points more in-depth, so you can have a better idea on how to pick the right one. Kids between five and seven years old will like something more powerful-looking than anything else. They are already in the range between being little kids to becoming the big kids they always wanted to be. And of course, they will always prefer trucks over simple cars. Remember, here you have three options. RC cars which are the ordinary every-day cars you see on the streets. RC trucks that offer more off-road and reliability under challenging places, the preferred for kids on this age range. And finally, you have buggies or sports ones, which can look like buggies or with a flatter design for a more off-road touch. Kids in this range are more proficient with their hands and do not need much help to learn something new. However, it is still essential that the controls are easy enough, so they don’t get confused and eventually frustrated with their choice. Also, we recommend choosing something that offers at least 15m of control distance so that they can explore their surroundings more comfortably. But always make sure they can do it safely. Finally, we have operation time. Remember that kids this age typically have more time in their hands to play for many hours non-stop. You want something that lasts at least 15 minutes straight, so always go for something this durable in battery life. Also, make sure the device does not take longer than 90 minutes to recharge, so kids don’t get frustrated. As you already know, this age range is mostly described as the most wannabe badass one. They want something between power and good looks, so it is essential to understand what exactly will fit their desires the most. Luckily, the options we have here go excellently well with that. You even have an excellent large truck and an amphibious racing stunt car to pick. So don’t hesitate and get the right one for your kid now!